Our family is very often on-the-go. As most fellow homeschoolers will agree - you often spend more time outside the home and words like car-schooling or world schooling apply much better! This of course brings on the challenge of feeding my kids nutritious and healthy foods and snacks no matter where we may be that day. Grab and go type options that are actually healthy are extremely scarce and my biggest pet peeve is the sheer amount of sugar even in organic kids snacks. 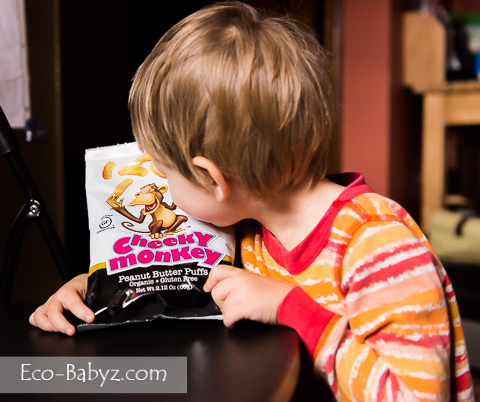 So I was definitely excited to be introduced to Cheeky Monkey - a healthy, sugar free, organic kids snack. 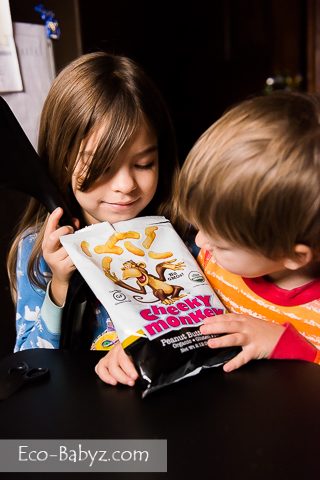 We received a few bags of Cheeky Monkey to put to the test of two very hungry growing munchkins who scream "I'm hungry!" the moment they are done with their breakfast, lunch, or dinner. Honestly, I had no idea they would like these so much. At first Baby E, my older one, didn't take to the peanut snacks and gave them to her little brother Baby T, but surprise, moments later I saw her sneaking some from his bag. Then she asked for her own. Then I had to hide the stuff! After I tried it I had to hide it from myself frankly! It's a good thing they are full of protein and fill you up pretty quick, otherwise it would be very hard to stop. They are not salty, but with just a hint of sweetness - without any sugar, the organic peanut butter has that bit of sweet tastiness that's hard to explain. 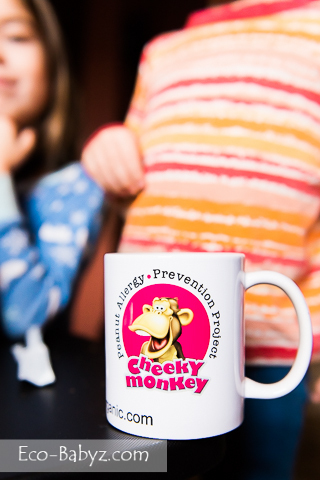 There is so much we like about Cheeky Monkey, I'm not even sure where to start! Most important to me I think is the three organic certifications that Cheeky Monkey has passed - COR (Canadian), USDA, and EU Certified Organic. Ultimately I think we all want to reduce our kids' exposure to pesticides, because no matter how hard we try they will be exposed here and there regardless. 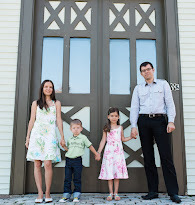 My job as a parent is to minimize that when and if I can, as much as I can afford to. 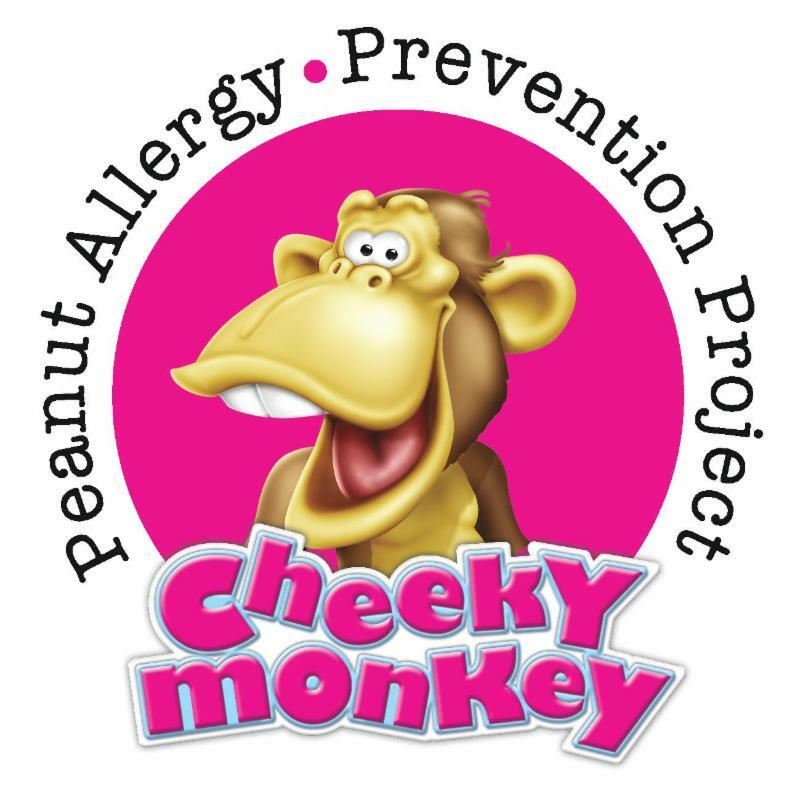 Cheeky Monkey peanut snacks are also certified gluten-free. This means they are produced in a gluten free dedicated facility that is certified by the Gluten Free Certification Organization. While we do not have celiac disease, overall we feel better when we minimize our intake of gluten. For me the primary reason - gluten makes me foggy and zaps my energy. For my kids, an overload of gluten gives them bowel issues and irritability. Not a fan of them being moody! So I definitely appreciate the fact I have a gluten-free snack on hand. 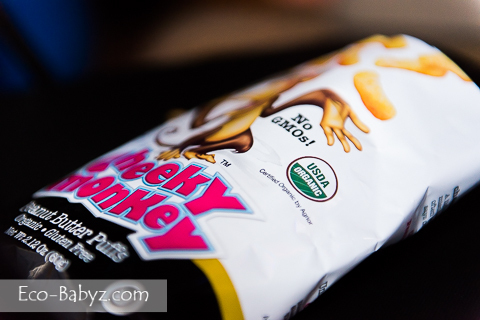 Likewise, while we are not vegan by any means - I like the fact that Cheeky Monkey puffs are vegan and an entirely plant-based snack, yet very high in protein. They are also kosher certified by the Orthodox Union, if that's something that is important to your family. These were not a must for us personally, but a nice bonus on the list of positives. To top it all off, there are also no trans-fats, no sugar, dairy, or casein. Right now we do consume organic dairy, but there was a point in Baby E's life when dairy was actually life-threatening to her when as an infant she couldn't at all digest milk protein, not even when I would eat it and it showed up in breast milk. Before I agreed to review this, I wanted to make sure it would be something I would wholeheartedly let my kids eat without concerns and that it is also an environmentally sound and sustainably sourced product. While I would have preferred coconut oil, it was great to learn that the organic palm oil used to make the snacks is both Rainforest Alliance certified and certified by the Roundtable on Sustainable Palm Oil. 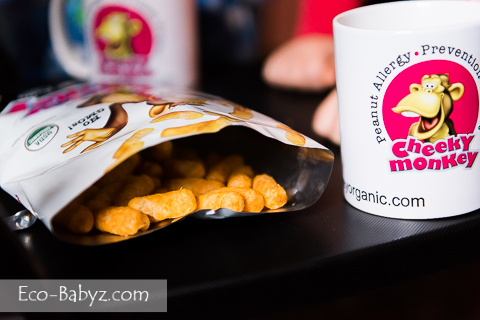 My kids are no longer babies, but this snack is actually safe and beneficial for babies. 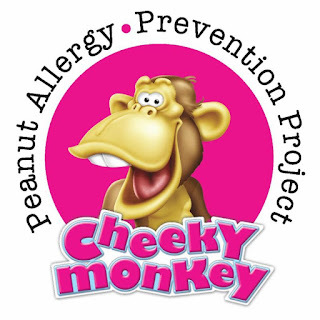 Not only does it quickly melt in the mouth so there is no choking hazard, a recent study also showed that 6 grams a week of peanut protein (about 1.5 ounces of Cheeky Monkey), can reduce the risk of developing peanut allergy. So it's perfect in small amounts even for infants starting solids! A great on-the-go addition to those healthy veggies you may start your infant on while continuing breastfeeding. Last but not least, this snack was developed by group of people, including parents, that have a primary interest in health and wellness for their children and themselves. Much like me, but perhaps with way better skills at bringing such a great idea to life! One of my readers is going to get to try these yummy snacks for yourself, we hope your kids will love these as much as mine do! Giveaway is open to U.S. residents. Obviously, please do not enter if you have someone in your household with life-threatening peanut allergies. One winner per household, email address, or home address. If you have won this prize on another blog you are ineligible to win again. Disclaimer: I participated in this event on behalf of Wendy's Bloggers for Cheeky Monkey. I received Cheeky Monkey products to facilitate my review. I love that it's organic and sugar free! I love that they are organic. My daughter loves peanut butter and I'm sure she would love these. My favorite thing is that they don't contain sugar. It seems really hard to find snacks that aren't loaded with sugar. Thank you. My favorite thing is that these are gmo-free. I am trying to avoid gmo's in our food. I like that it melts in your mouth which is perfect for my toddler and baby at the same time. I like that it is certified by the Roundtable on Sustainable Palm Oil. I like that the snacks are made with organic palm oil that is both Rainforest Alliance certified and certified by the Roundtable on Sustainable Palm Oil. I like that they are organic and high in protein! The sugar free part is really big for us! I haven't seen these before, but I am so excited that they are vegan and gluten-free.